Genlife Insurance is an innovative authorised financial service provider as well as being funeral administrators. And it is Genlife’s knowledge of the financial services industry which makes it possible for them to offer their clients affordable products and services which enhance their lives. In fact, they make it their mission to offer their customers an all-in-one service. Financial Services such as banks, insurance companies and stock brokerages, for instance, are provided by the finance market to manage the money of their customers. Customers needs and expectations mean that there is intense competition among the financial services providers so they are now more innovative than ever. A full range of Group Funeral plans, Family Funeral Plans and Individual Funeral Plans. Cover for these plans can be anything from R3 000 to R30 000. Their Traditional Plan covers as many as ten people under one plan. Apart from their funeral plans, Genlife Insurance also offers a meat policy, tombstone cover, grocery policy and a repatriation benefit. Funeral cover, funeral homes, Funeral Group Scheme Administration, Funeral Administration Software, funeral cover, undertakers, underwriters. Genlife’s funeral packages can’t be beaten – in fact; they say they will beat any premium you are currently paying. They want to work with funeral home owners to grow your business to reach its full potential. Genlife Insurance also offers user-friendly web-based Funeral Administration Software.This software is free to Genlife Insurance clients and helps undertakers to manage their business in a cost-effective way, to edit data and add new members. The software is web-based and allows customers to monitor their funeral business from wherever they are in the world. The beauty about this funeral administration software is that it is capable of managing all those admin tasks involved with the administering of funeral policies. Users such as funeral undertakers will be able to keep track of new clients. Keeping track of customers who aren’t up to date with premiums are all features taken care of with the software. Genlife Insurance is an authorised financial service provider, but their speciality is funeral group scheme administration. The company has a reputation for providing unique funeral plans to clients which includes the likes of funeral undertakers, church groups and trade unions among others. Starting a funeral parlour business will require a Certificate of Competence. There are plenty of complexities with starting such a business such as registering for the South African Revenue Services among others. Even before you submit an application for a Certificate of Competence, you need to publish two notices in two different official languages in local newspapers. There is so much to contend with when opening a funeral business, that it can only be beneficial to see how Genlife can make the entire process that much easier. People these days always like to know that their service provider works towards the welfare of the community. They’re delighted to known Genlife does. Genlife supports organisations involved in less developed communities. They have a real concern for those who are less fortunate. Their G.I.F.T. Foundation G.I.F.T stands for Give It Forward Today. Genlife allows their clients to choose a project they want to support. Genlife then works with the project to bring about a positive change. Genlife Insurance is committed to offering excellent services and products to clients. They make it easy for clients to get hold of them on their facebook page at www.facebook.com/genlifefuneraladmin, by phone at 012 450 5581 or 0823383993 or to email them at admin@genlife.co.za. 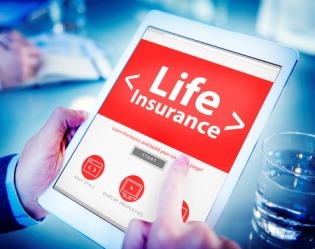 ← When Does One Need Life Insurance?